To become certified in the Ratay Way of coloring hair. Be a part of an elite group of hairdressers that will elevate their level of expertise behind the chair when coloring hair. You will become certified in the principles of haircolor. Within comprehending the foundation, you will be able to formulate and understand haircolor across the board. Sherry will help you understand the importance of placing the proper tone, brightness, depth and lightness within someone’s hair to accent their natural haircolor, texture, skin tone, eye color, and personality. Upon finishing the Ratay Way certification, you will be knowledgeable about the foundations of coloring hair. The certification series will help you with your future endeavors within the beauty industry. The Ratay ~ Wang certification series. Uptown meets downtown! Be a part of an elite group of hairdressers that will elevate their level of expertise on modern day haircolor and design techniques. This will include analyzing the existing haircolor, hair texture, density, skin tone, eye color, and personality. You will be certified in the foundations of cutting and coloring as well as the importance of having the color and cut live within each other. 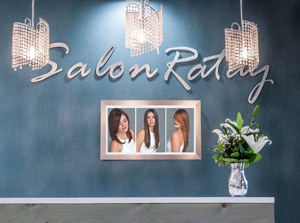 With the completion of each of the Ratay Way certification I, II, and III, you will have mastered the profound emphasis of having haircolor and haircut co-exist. The completion of this certification series will help you with your future endeavors within the beauty industry.